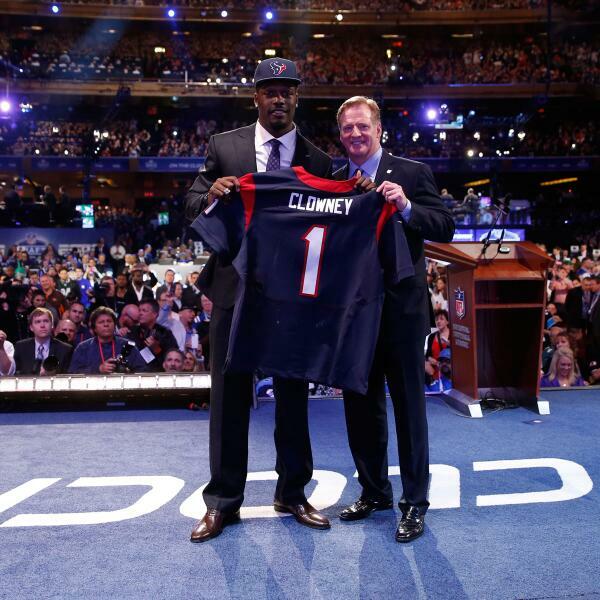 Get all the latest updates from the NFL Draft via the Sports staff at the Los Angeles Times. Johnny Manziel: "I'm going to work extremely hard to get what I want, and I know what that is." So which teams told A.J. McCarron he has a first-round grade? Is Johnny Manziel a good fit for the @Browns : #JohnnyGo or #JohnnyNo ? That's a wrap for Round 1! Round 1: 3 hours, 40 minutes. 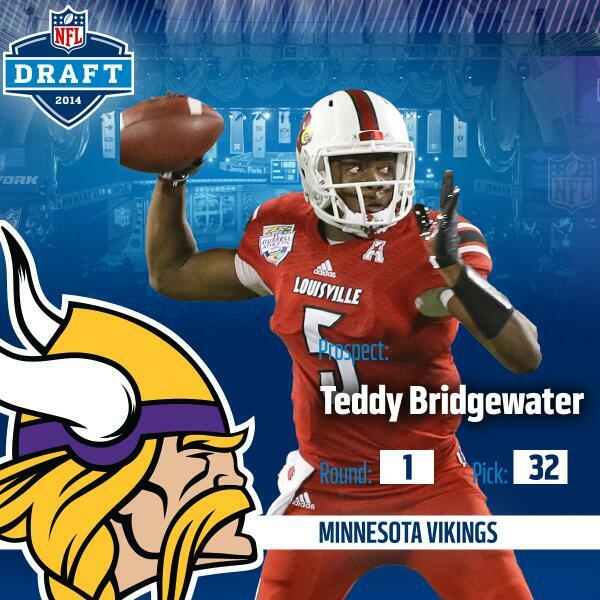 Vikings end first round with the steal of the draft...Bridgewater had a bad pro day, but won a lot of big games..they can fix his throw..
How long until Berman calls him "Bridgeovertroubledwater"? To no surprise, Seahawks trade out of 32nd spot. Vikings leapfrog the Texans, presumably for a quarterback.